Community Drives and Events Manager. 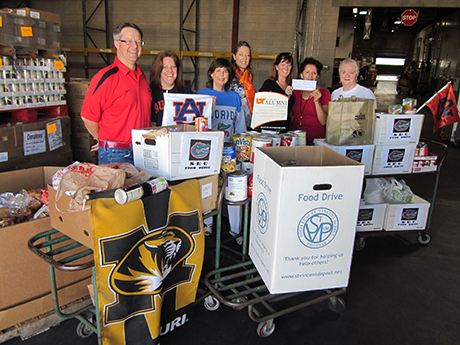 I team up with companies, groups and schools to help collect food, clothing, and other items through drives and events. I also give tours. 7 years -- I started out as a volunteer and drive donor through a restaurant I co-owned, and they kept me! Favorite St. Vincent de Paul memory? I gave a tour to a group who was also volunteering that day, sorting food in our food warehouse. I walked them out to our lobby afterwards. One person took his shoes off and handed them to me, asking that I give them to one of our homeless guests. It was the middle of summer and I just stood there speechless holding his shoes as he walked through our parking lot to his car IN HIS SOCKS! I will never forget that gesture or that day. I’m so inspired daily by people’s generosity of their time and resources. Seeing transformations happen is pretty magical too. When the weight of the world is written on the face of someone, and you get to witness them moments later with a sense of hope renewed, there is nothing more rewarding than that. What are the biggest food drive needs? 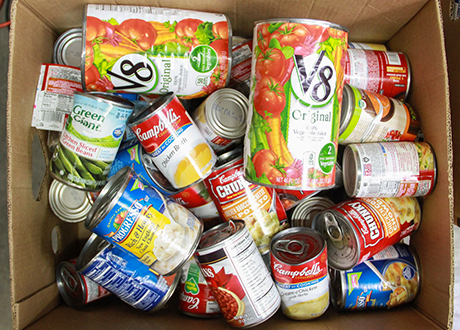 Food donations in the summer months are harder to come by, as people seemingly tend to think of giving more during the holidays. Summer food and water drives, I would say is our biggest need. Our most sought after items for food donations are non-perishable foods high in protein such as tuna, beans and peanut butter. Strangest donated item you’ve ever received? I once found a PB&J sandwich in a Ziploc bag with one bite out of it! How can people sign up for a food drive or donate items? Besides food, what other drive needs are there? We are ALWAYS seeking adult athletic shoes, jeans and toiletries for our homeless guests who come to take showers here. Seasonal items such as coats and blankets in the winter and water and sunscreen in the summer are much needed too. Even seemingly specialty items such as backpacks, school and art supplies, and toys are very much appreciated and go to great use! 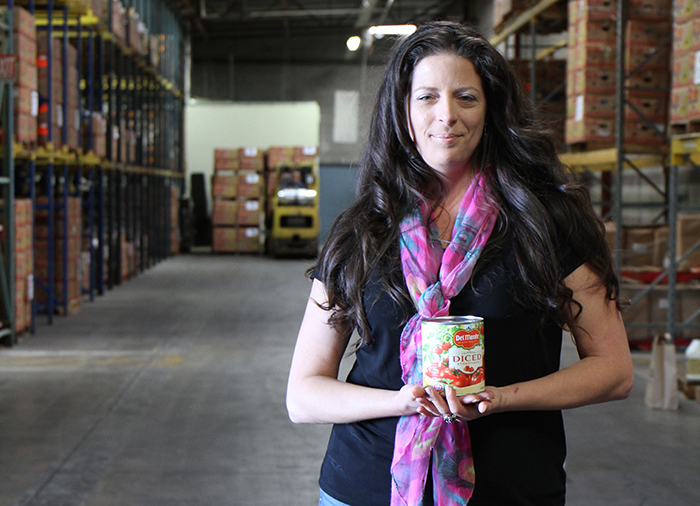 What sort of work do volunteers do in SVdP’s food warehouse? Our “Angels of the Warehouse” (aka volunteers) are at the front lines of the operation. 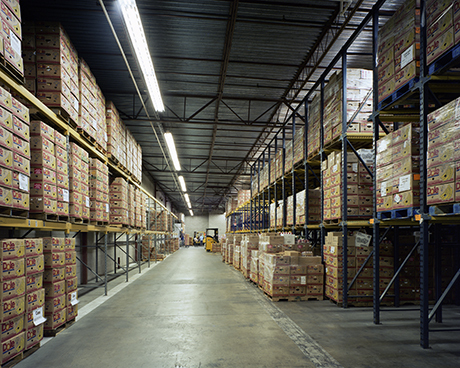 They sort and inspect incoming food donations, checking every item for expiration dates, proper packaging and quality. If you are looking for a rewarding volunteer experience, and you aren’t afraid of a little exercise and getting your hands dirty, this might be the one for you! Why do you think serving people in need is so important? EVERYONE needs help with something sometimes. Helping each other -- I think that’s what we were put here on this earth to do. The biggest givers (and I am around a lot of them) will tell you that they receive more out of giving and serving than they felt they gave. Serving others is a win-win!